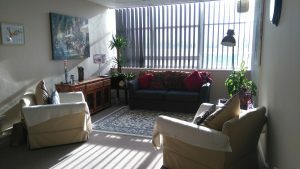 This Consulting room is available to hire in Harlow Essex and is suitable for all talking therapy such as counselling, Psychotherapy, life coaching, NLP and group therapies. It is spacious, comfortable and has a relaxing feel about it. 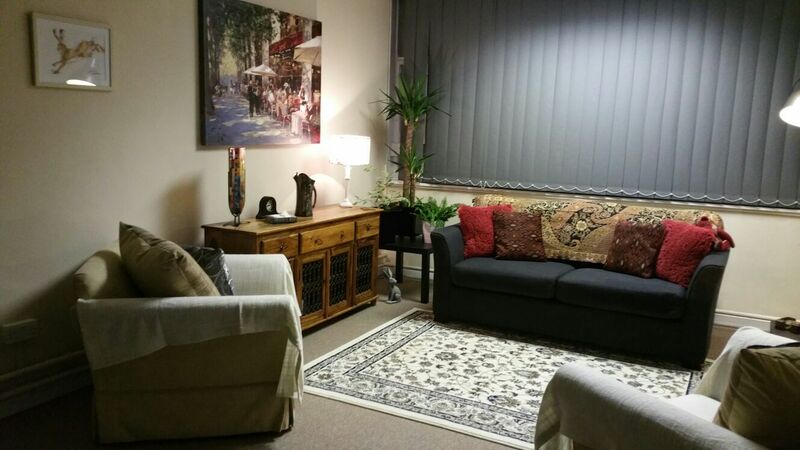 It has been neutrally decorated to assist clients to feel they are in a safe space to embark on a journey of positive change. There is also restricted pass access to the corridor to ensure safety. It has a large window producing good natural day light, there are also lamps positioned to produce a comfortable lighting by night. There is a shared kitchen but in addition to this I have provided a tea/coffee making station so that clients can help themselves to complimentary tea and coffee. There are a number of clocks that have been strategically place and blended in with the room’s décor to assist you measure the therapeutic hour. 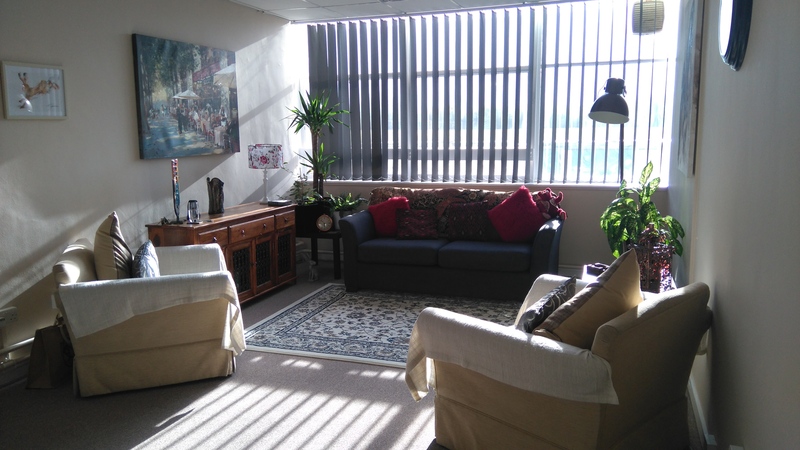 This room is large enough for wheelchair access and the building has full disability access. This therapy room had been carefully set up to accommodate the right space for one to one therapy, counselling or couples counselling whilst at the other end or the room there is also enough space to take medium sized meetings or group therapy. £10 per hour for couples or one to one therapy.